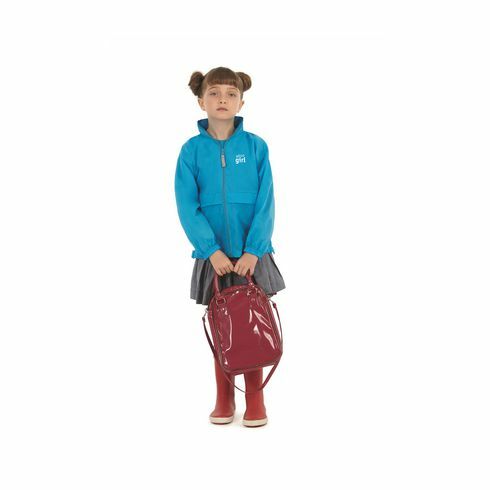 Lightweight kids jacket from the brand B&C ~ 100% nylon ~ waterproof ~ side pocket ~ zip with pull ~ foldable hood stored in collar ~ jacket folds into pocket to create a portable hip bag with elastic belt. Available sizes: XS (98/104), S (110/116), M (122/128), L (134/146) and XL (152/164). Available in a men's model (item 6555), a ladies model (item 5724) and a child's model. These jackets can be ordered in any combination.